A recent inquiry from a lady in Australia had us looking for a ‘star’. The star which used to be on the town centre Christmas tree and was made at Metal Box by the lady’s father in the 1950’s. 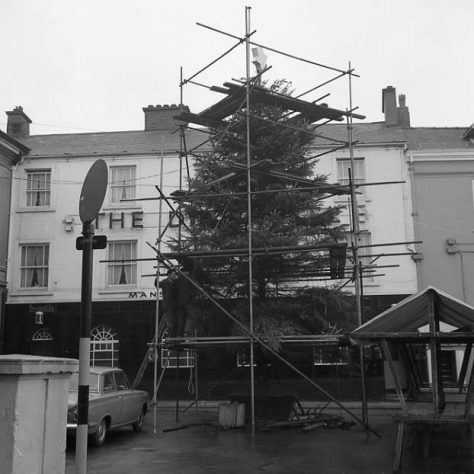 Christmas memories - can anybody recall the”Angels ” of which went across the shops in Leeming Street in the early 1960’s, like the Star where are they now or were did they go ?. 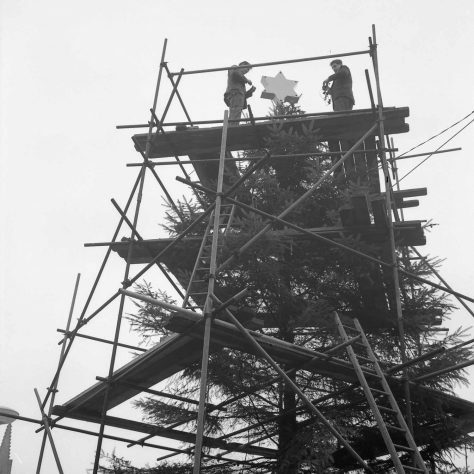 The gentleman who made the star was Leonard Jones, my Dad. He and Mam will celebrate their 73rd wedding anniversary on 24 December 2011. My sister Susan forgot to mention that she, our parents and three other siblings emigrated in April 1954 so Dad must have made the star before that, and it is terrific that it was still in use ten years after they left. Incidentally the “lady in Australia” is Leonard and Kathleen’s eldest daughter Pamela who was at Brunt’s Grammar School prior to emigrating. Through our maternal grandmother we have a long and respectable connection to Mansfield being related to a number of families well known in the town throughout the nineteenth century, including the Clays, Metthams and Binchs. 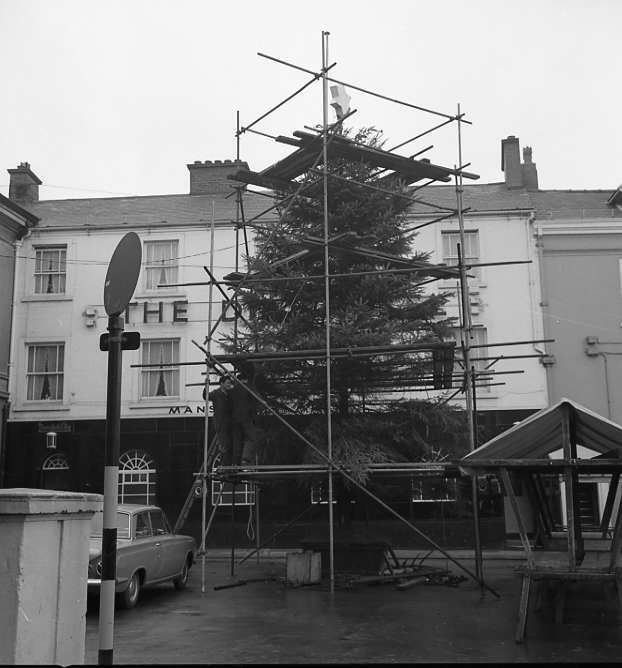 “Where is it now?”, I’ll have stab in the dark inasmuch as I dare bet it went to the same place as that Cortina parked alongside the scaffold!